Updating your windows is a home improvement project that will improve your property’s curb appeal and lower your energy bills. But window installation isn’t as easy as it sounds. Murphy Home Improvement has been helping home and business owners in Cincinnati, OH, replace their old windows for the past 30 years. Their window installation experts handle everything from start to finish, and they know homeowners who choose to do the work themselves often face unforeseen hurdles. Choosing The Right Windows: If windows aren’t your specialty, it’s easy to become overwhelmed when faced with endless options. Your first step will be determining what size you need, but then it’s time to consider other specifics, such as the quality of the design and energy efficiency. 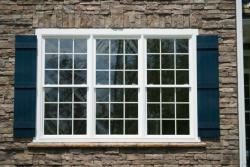 It’s important to choose windows that fit within your budget while also providing the most benefit to your property. You’ll need expert knowledge to make the right decision. Proper Installation: Even handy homeowners who pride themselves in their ability to complete home improvement projects on their own can struggle with proper window installation. It’s a process that requires real training and experience, and if it’s done wrong, you’ll only create more problems. Improperly installed windows are leaky and inefficient, but a professional will guarantee the work is done right. Making A Worthwhile Investment: Any home improvement project is an investment into your property, and updating your windows is your opportunity to make a significant change — but only if it’s done properly. If the interior of your home is dark, a professional window service will be able to resize your windows to allow more light. Hiring a professional to install new windows is your chance to transform your property. The simple act of calling a professional to handle your window replacement will end up saving you time, money, and frustration. Call Murphy Home Improvement at (513) 922-8989 to schedule a consultation, or visit their website to find out more about what they can do for you.